Cardiff are hoping to book their place in the top flight when welcoming Reading in their final Championship fixture on Sunday. Read the match predictions to find out why Cardiff is the football betting tip to beat Reading at the Cardiff City Stadium. Victory for Neil Warnock’s side at Cardiff City Stadium will secure their place in the Premier League next season and any other result will leave them sweating on the outcome of Fulham’s match at St Andrews. Icelandic midfielder Aron Gunnarsson is set miss what could be the Bluebirds last game in the Championship after picking up an injury against Hull. Derby loanee Craig Bryson is expected to fill in. Welsh international defender Jazz Richards has returned to training but is unlikely to feature having been out of action since January. 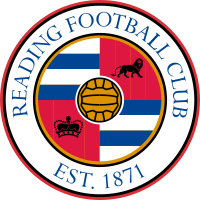 Reading will hope they have already done enough to survive another season as it will require Barnsley, Burton and Birmingham all to win in order to relegate the Royals should they lose to Cardiff. Paul Clement is expected to make sweeping changes after Reading’s 4-0 home defeat to Ipswich last weekend. There could be opportunities for a number of fringe players with 20-year-old forward Sam Smith and midfielder George Evan in line to start. Joey van den Berg is ready to return and Leandro Bacuna could return to the back four after serving his suspension. 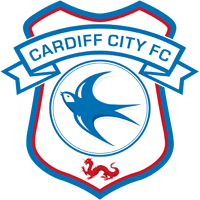 The Bluebirds rarely slip up at home and have beaten all the bottom clubs up to Sheffield Wednesday at the Cardiff City Stadium this season. It’s been a nervy climax for Warnock’s men having lost three of the last six but last week’s 2-0 victory at Hull has put them in the driving seat for automatic promotion. Reading have struggled for consistency throughout this campaign and arrive in Cardiff with only two wins from the last 16 Championship matches. They have lost the last five successive away games, failing to score in four. Cardiff have conceded in each of the last five homes but with the exception of champions elect Wolverhampton, the Bluebirds continue to find a way to win. Reading don’t appear to be putting up much of a fight and we predict Cardiff to secure second spot with a win to nil. Reading are undefeated in four matches against Cardiff since losing 2-0 here in November 2015. In their last 11 Championship meetings in Cardiff, the Bluebirds have won four, drawn three and lost four. So far this season, Cardiff have won 16, drawn three and lost three of 22 home matches in the Championship. They’ve kept 10 clean sheets and failed to score four times. Reading have won five, drawn five and lost 12 of 22 away games, keeping three clean sheets and failing to score nine times. Compare match odds for Cardiff vs Reading. Select from the drop down menu to compare odds for Both Teams To Score, Over/Under and Half Time/Full Time markets. Get the best odds for Cardiff vs Reading and improve your betting results. Open a new account with online bookmakers and get free bets. Bet on Cardiff vs Reading and receive a free bet or get a free bet on Cardiff vs Reading.